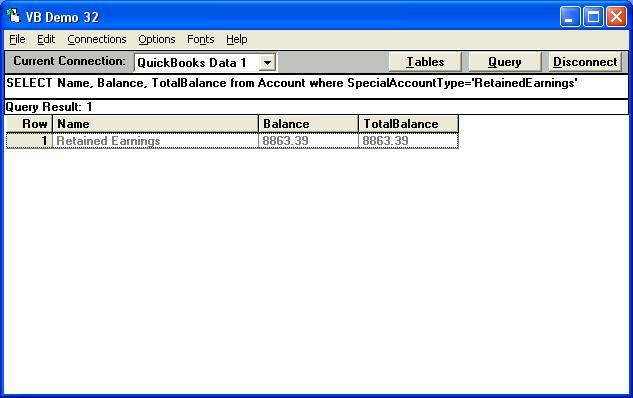 [QODBC-Desktop] Troubleshooting - Where is Retained Earnings data found? Troubleshooting - Where is Retained Earnings data found? I cannot find a table with the retained earnings listed in it. Furthermore, I find no transactions for this account, yet QB reports 2 closing entries? In the account table, I have a zero value. On the balance sheet, it is quite NON-ZERO. Drilling in shows a single line balance. And for the previous 2 years, there is a posted amount with a closing date. It takes a WHILE when you double-click the account, so it looks as though it is calculating these 2 values. Is it STORED, or calculated? Because it is not in the account table. I assume you mean "Retaining Earnings" on your balance sheet. The value is in the Account table.